You might not think FedEx and Walgreens have that much in common, but executives of both companies say they perfectly complement one another in a new joint venture. Walgreens has thousands of retail locations in the U.S. FedEx needs places where its customers can send and pick up packages. Within the next few months, Fed Ex will set up stations within thousands of Walgreens locations where consumers can do just that. “Walgreens, with its strong focus on customer care, is the perfect retailer to help us continue to meet the growing demand for convenient, secure dropoff and pickup options, and our research has shown that customers rank pharmacies as a preferred location for accessing their e-commerce shipments,” said Raj Subramaniam, executive vice president and chief marketing and communications officer, FedEx Corporation. Subramaniam says the addition of the Walgreens locations significantly increases FedEx's footprint. 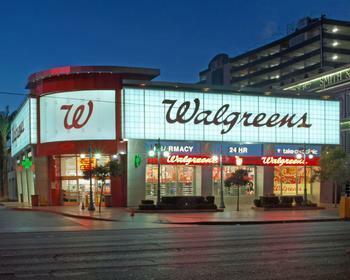 As for Walgreens, it sees the partnership as just another way to increase foot traffic. “Working with FedEx to provide safe and secure delivery locations while making it easy for customers to ship returns and other packages through the FedEx networks is another way we are becoming America’s most loved pharmacy-led health, wellbeing and beauty retailer,” said Reuben Slone, Walgreens senior vice president of supply chain. Unaffiliated companies joining forces for specific ventures may be a growing trend. In 2015, Target and CVS announced a deal in which CVS would take over and operate a number of Target pharmacies. Both companies viewed the deal as a win-win, since CVS greatly expanded its reach without having to open additional stores and Target benefited from existing CVS customers coming into its stores. The deal between Walgreens and FedEx will work much the same way, officials of both companies say. They say the hook-up will significantly expand the options available to consumers to drop off and pick up their FedEx shipments and handle multiple tasks during a single store visit. Secure pick-ups have become an increasing concern with the growth of “porch piracy,” in which thieves make off with delivered packages when the consumer is not at home. A 2015 study by Insurancequotes.com estimated 23 million Americans a year have at least one package swiped from their porch. The venture will roll out slowly this spring, but projections suggest that FedEx will be located in 8,000 Walgreens stores by late 2018.